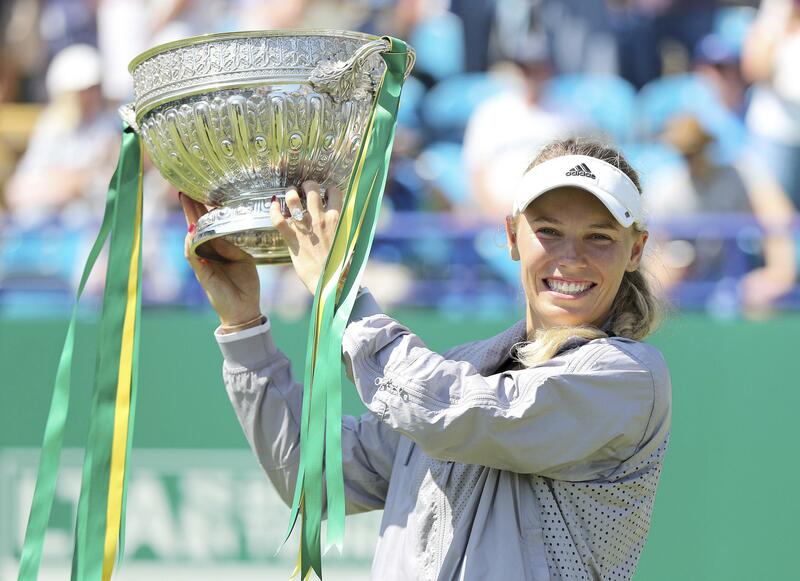 Sat., June 30, 2018, 10:59 a.m.
EASTBOURNE, England – Top-seeded Caroline Wozniacki won the Eastbourne International for the second time by beating Aryna Sabalenka of Belarus in straight sets for her 29th career WTA title on Saturday. “It’s just amazing, it’s been a long time ago since I was here as the winner of this tournament, so it’s great that I can still play almost 10 years later,” Wozniacki said. Zverev broke Lacko in the opening game, and in the fifth game of the second set. The German clinched the victory with his fourth ace. Published: June 30, 2018, 10:59 a.m.